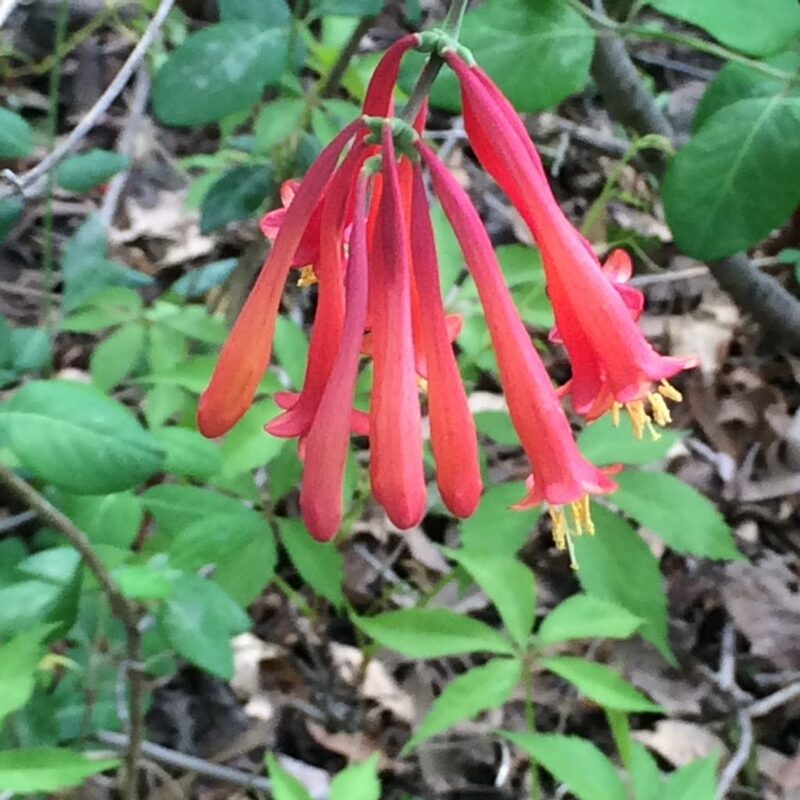 Lonicera sempervirens is a woody vine, bark shreddy, stems hollow. Leaves opposite, white below, upper leaves fused around stem; leaves expand mid-April (Britton 1874). Flowers tubular, red & yellow, irregular, insect, also visited by hummingbirds; blooming May-June. Fruit fleshy, translucent-red, seeds bird dispersed, fruit eaten by songbirds. FACU. Very infrequent. Woodlands.